Mark Reynolds Solicitors understands that loss of sight is one of the most traumatic events an individual can experience. Even partial visual impairment to one or both eyes has a significant impact on quality of life with long-term consequences. Vision impairment affects employment opportunities and often requires arranging care on a permanent basis. Our solicitors take all factors into account when handling loss of sight claims to secure maximum compensation. 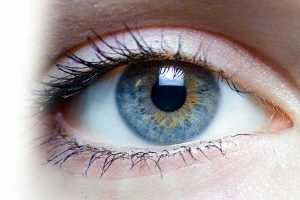 If you or a loved one suffers from partial or total loss of sight due to the negligence of another party, you may be able to claim compensation. Assault: Blunt force to the head from a physical assault or a thrown object can lead to eyesight loss. Domestic disputes are one example where violence can lead to devastating consequences, such as vision impairment to one or both eyes. Bright lights: Exposure to intense lights from welding torches or lasers can often result in temporary or permanent loss of sight. The dangers increase significantly if a workplace fails to take the necessary safety precautions. Chemical injuries: Certain chemicals in workplaces like factories can lead to serious eye injuries if they are not handled properly. There is comprehensive legislation that covers the handling of substances that could harm people or the environment. Inadequate protective equipment is strong evidence of workplace negligence. Head trauma: Any strike to the head whether from a sharp or blunt object can be serious enough to result in eyesight loss. Examples include flying debris from machinery or taking hard falls on a slippery surface. Employers have a legal duty to ensure safe working conditions for their employees. Medical negligence: A medical misdiagnosis can lead to incorrect or delayed treatment, which can cause partial or permanent loss of sight. Although these situations are rare, patients may be entitled to claim compensation due to medical negligence. Workplace regulations state that employers have a legal obligation to carry out risk assessments and provide safe working conditions for their employees. Employers must also ensure the safe operation of machinery and provide adequate protective gear to protect against potential safety hazards. In the event of a workplace injury that results in loss of sight, employers may be held liable if they have failed to comply with specific health and safety rules. Claims are typically brought against the employer for injuries that occur in the workplace. For other scenarios, establishing liability for loss of sight depends on the exact circumstances. Whether your loss of sight has occurred as a result of physical trauma or employer negligence, Mark Reynolds Solicitors can advise on making a claim to seek compensation. Call us today on 0800 002 9577 to speak to a solicitor about loss of sight claims or fill out the online form on our website. A solicitor will be in touch with you shortly to help you claim compensation.